B Type Air Entrainment Meter for Concrete Testing - It consists of an aluminium vessel with built in hand operated pressure pump, connected to the measuring gauge showing directly the air content in percentage. Air content range: 0÷10% div. 0.1% up to 8% and 0.5% over 8% Dimensions : Dia. 250x450 mm. 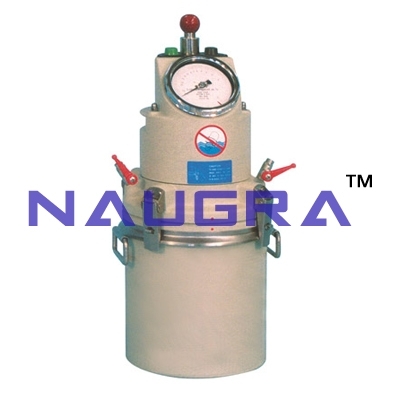 We are leading manufacturers, suppliers & exporters of B Type Air Entrainment Meter For Testing Lab for Concrete Testing Lab. Contact us to get high quality designed B Type Air Entrainment Meter For Testing Lab for Concrete Testing Lab for schools, colleges, universities, research labs, laboratories and various industries. We accept bulk orders for government tenders in all countries around the globe.